How are we telling stories with new digital tools? 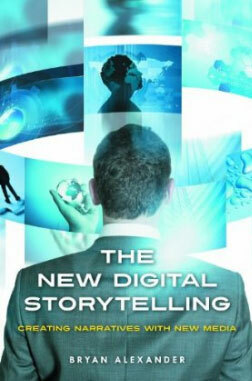 The New Digital Storytelling is a blog attached to a book of the same name. Its initial purpose is to share examples of digital stories, in order to survey the field, explore how these new approaches work, and inspire creators. I’m Bryan Alexander, the author and main blogger. 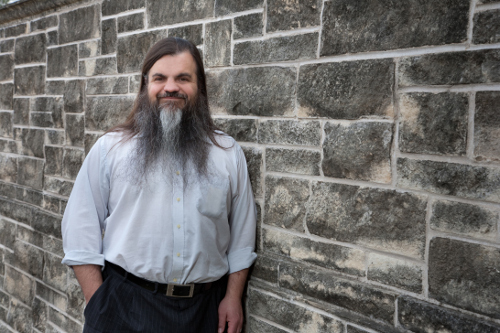 You can find out more about me and digital storytelling work from various places: Twitter, my work blog, the Infocult blog, my WordPress bio, our family homesteading blog, and bookmarks (Diigo, Delicious, Pinboard). Hey Bryan. Thanks for the great book and this blog. We’re using it as the text at Empire State College (NY) for our Digital Storytelling class. I’m a writer and filmmaker and you’re book is helping me get over some really “old school” blocks . I was taught to believe there were things you weren’t supposed to talk about. But, the stuff were not supposed to talk about that everyone wants to hear. Many thanks, David. I’m glad the book helped your class, and humbled that someone with a background like yours found it useful. Is any of that class available on the open Web? Thanks for sharing that, David. And thank you, too, for the kind words. Except Joe’s book is excellent.